It’s safe to say that living to a hundred is far easier on a golf course than it is on a golfer. 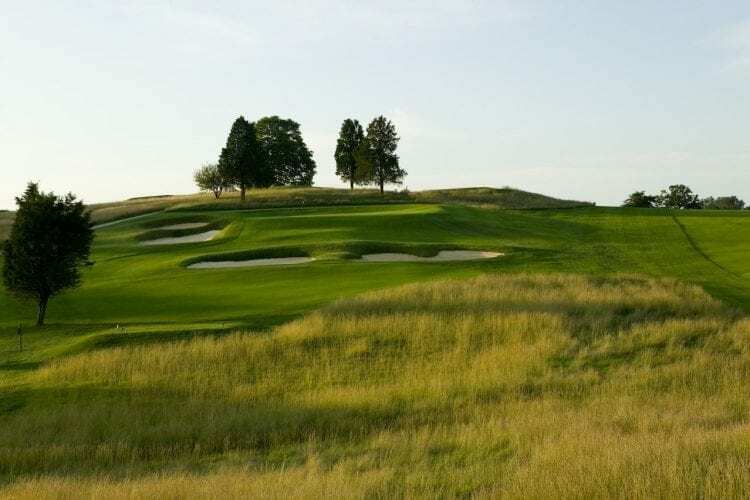 The Donald Ross Course at French Lick just hit that hallowed number—but doesn’t look a day over 18. Restored by Lee Schmidt in 2005 to its fabled designer’s 1917 specs, the DRC balances beneficent fairway looks with big, evil greens. And extended to 7,030 yards from the tips, it’s a lot of landscape. Rural French Lick looks much as it did a century ago when Chicago wise guys descended there to play golf, gamble, and sanitize their gin-mill simoleons. The venerable French Lick Resort still has a casino and a license from the local constabulary to legally spin the wheels and flip the pips. Sorry, Mr. Capone; they’ve gone legit. But it’s on the rolling fairways adjacent that the better game of chance unfolds. Thank Schmidt and the Donald Ross Society’s Michael Fay for that. They restored no fewer than 29 fairway bunkers, curbing the free-swinging immunity that golfers had formerly enjoyed from the tee. 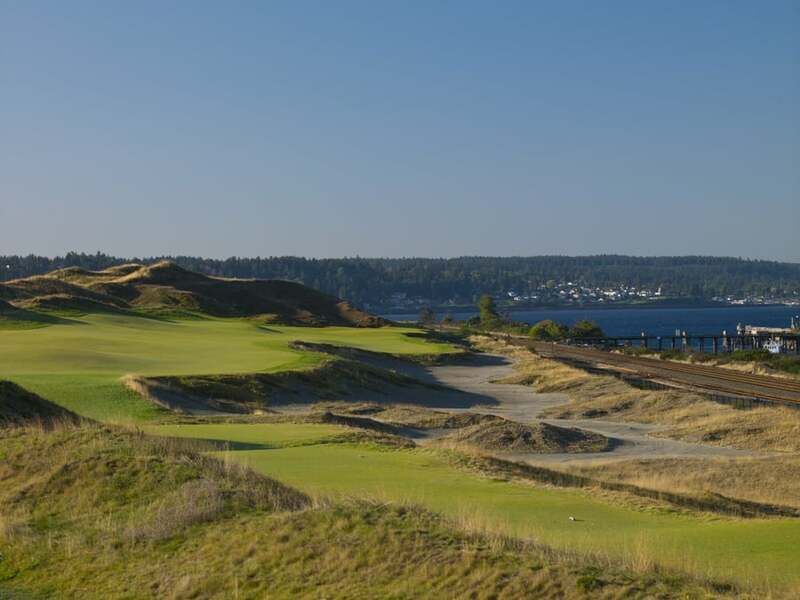 Flowing, fairway-hugging fescue further ups the ante for accuracy. Hilltop views go on forever, what trees there are artfully frame greens and fairways rather than obstruct golf justice, and the course is a joy to walk with but a few dozen steps between greens and tees. The cleat marks from Walter Hagen’s 1924 PGA Championship win here may be gone, but the battleground is alive and well.